Racegoers and Sky Racing 2 viewers will be able to watch the champ ‘Winx’ in action at Bowraville next Saturday. 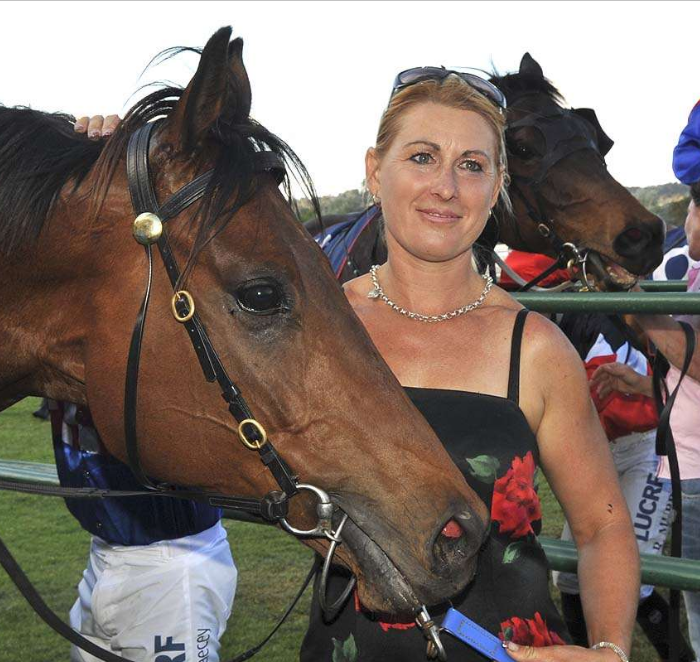 Well … it’s not the real Winx, but in the eyes of trainer Vanessa Mclennan, she is just as fond of Curley Mac as she is of the superstar galloper. Curley Mac will be lining up in next Saturday’s $27,000 Bowra Hotel Bowraville Cup (1370m) and has not appeared at the course for four years when he finished third in the Lightning Bend (1000m) behind Lucky Meteor and Wicked Wanda. And ‘Curley’ is a last start winner, having flashed home to land the major prize at Kempsey on 25 August. “I ride all my own trackwork and galloped him the other day and his work was fantastic; he looks a treat at the moment. He’s old and fit and it’s just a matter of keeping him happy – and happy he is! “He does a lot of hacking [light exercise] and walking on the treadmill. I will gallop him again on Monday and then he won’t see the track again until raceday. Nambucca River Jockey Club’s secretary/manager, Geoff Harris, is expecting a sizeable crowd at Bowraville with the spring weather ensuring it will be a pleasurable day at the track. “Despite the dry conditions, the course has good grass cover and will be in excellent condition for racing on Saturday,” Geoff said. “It’s a real family fun day with a Fashions on the Field contest and the atmosphere will be buzzing. All our amenities are operating with corporate hospitality packages still available. “Tickets to the Sponsor’s Pavilion include lunch, a private bar and a race program. And our Club provides free bus travel to and from the course, so everyone has the opportunity to travel safely. “The buses are running from Stuarts Point, Valla Beach, Scotts Head, Macksville and Nambucca Heads.